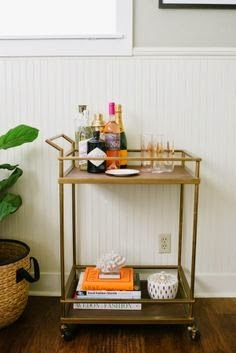 Now that I had the bar-cart, the thought of what to put on it was a little overwhelming, so I went on Pinterest and drew inspiration from a few different styles that I liked and came up with mine. 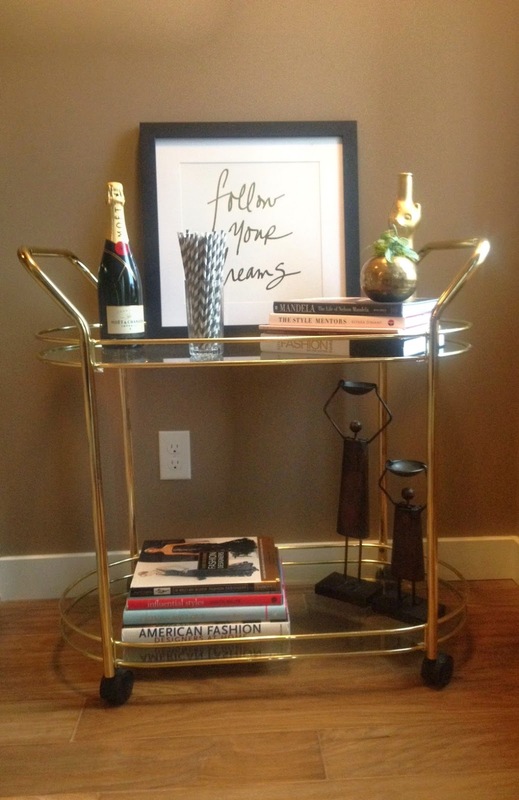 In my opinion, a bar-cart should change with season and mine will be changing quite often. I'll be sure to update you guys on it. The perfect and final addition to my living room space.